A special edition Fallout 76 Xbox One X Bundle is up for pre-order now with access to B.E.T.A. to the game. Those of us who are eagerly waiting for online multiplayer action role-playing game Fallout 76 from Bethesda Softworks to release on November 14 for consoles may or may not know that the game has a huge map that even surpasses the likes of Fallout 4. Also, the game is a prequel to the series, which aims to be the best among them all and such title definitely deserves to be on world’s most powerful console, Xbox One X. If you agree, then your prayers have already been answered. 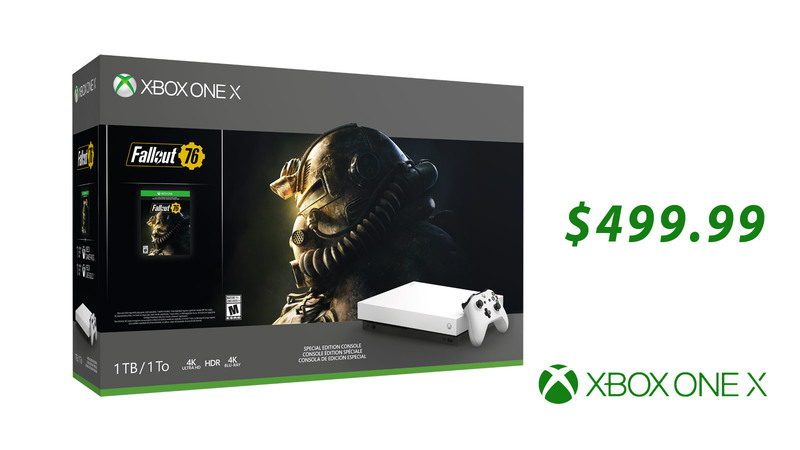 We encourage you to explore the vast open world of Fallout universe with the recently announced Xbox One X Robot White Special Edition Fallout 76 Bundle. This package comes along with the access to full-game download upon launch, a special edition console and controller that matches. Every other survivor you will cross path with within the game, are a real person and why not enjoy that experience with 4K resolution and HDR? We cannot think of any at this very moment! In Fallout 76, you are one of the surviving Vault Dwellers who has resurfaced 25 years after the bombs fall in a post-nuclear America. Now how you will rebuild your great country once again is completely up to you. Before this special edition bundle starts shipping from November 14, you can pre-order it from Microsoft Store and GameStop for only $499.99. Placing a pre-purchase order for the console will ensure that you could participate in Break-It Early Test Application (B.E.T.A.) of the game. Also, Xbox Elite Wireless Controller and Turtle Beach’s new Elite Pro 2 is available now in white. Check out the details of the all-new pro-level button masher below. The White Special Edition Xbox Elite Wireless Controller as a redesigned version of the original that comes along is the most equipped and advanced controller to assist you for a competitive gameplay. You are allowed to customize and reconfigure buttons, paddles or even sensitivities of the controller using Xbox Accessories app. PCs and tablets running on Windows 10 or any devices from Xbox One family are compatible with this controller priced $149.99 only, available from October 16. 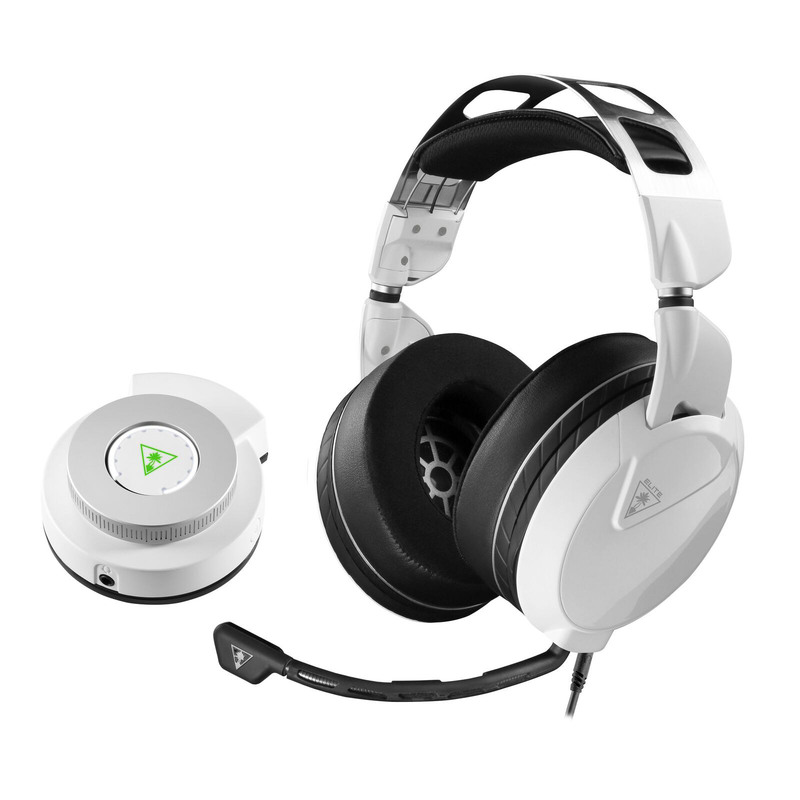 Following the success of premium over-ear headset Elite Pro, comes a worthy successor from Microsoft and Turtle Beach. The new Elite Pro 2 brings blocks external noise and delivers audio excellence for a next level gaming experience to world’s pro gamers at home or in esports championships. Plus, a SuperAmp Pro connected to your controller to stream music or taking calls when you play. Together, it will cost you only $249.95 and will be available to purchase from September 16. Since pre-order is available for Fallout 76 Xbox One X Bundle and the additional gears, we suggest you to go for it to enjoy free shipping, including access to free trials of Xbox Game Pass and Xbox Live Gold for a month. Currently, Microsoft has an amassing collection of over 1,300 games, including more than 200 exclusive titles and 400 Xbox classics. So, this is an offer that you would hardly want to miss and we suggest that you don't for the sake of your happy gaming life.